TechWire have been very pro-active in understanding the full technical picture and helped guide us in the best approach to solving each problem, well beyond simply responding to the technical scope of the requirement. We have found the work to be of high quality, delivered in a timely manner by a team with high levels of competence. Techwire has worked well interacting with other team members directly to coordinate activities and resolve issues and is responsive to our evolving needs. CloudPatterns and TechWire have been engaged in many successful IT projects since 2000. We appreciate their dedication and expertise and would recommend this company to any potential clients. We put special emphasis on communication — from establishing proper specifications based on your idea, to periodical reporting and providing on intermediate software versions for your review. Read more about our communication processes and methods. Our team is well-educated and has heavy hands-on experience in projects of various types and sizes. This allows us selecting the best approach to implementing your requirements. You can read about our skills and project experience. We have dedicated trained Quality Assurance staff working on your projects from the very start. They produce test plans based on specifications, verify the product quality, and test deployment scenarios. Please study our quality assurance approach. Moving site from Joomla to WordPress - As you may have noticed, our site have changed. Immediately noticeable is an update of visual design, but also we’ve changed the heart of the site — the CMS it runs on, — from Joomla to WordPress. Requirement analysis - Before you build a complex system — it is best to ensure the task is understood well. It is better than having to redo it later. For this we use a number of techniques, from early prototyping to detailed specifications with screen designs and algorithm descriptions. 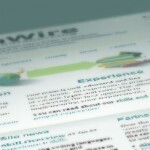 EnginSoft Link Application - One of the projects we completed with TechWire UK is a Link application for EnginSoft UK. The application serves as an integration point and controlling GUI between EnginSoft’s ModeFrontier, and Innovyze InfoWorks CS. The advantages of using this Link application are described on the EnginSoft’s site, while we can describe below how it was implemented. If you would like to find out more about our cooperation, how these companies could benefit you, please follow to the Partners section. Our company is always looking to hire people who are skilled, reliable, responsible and can work well in a team. Please note that knowledge of English is necessary. If you feel that you would make a good contribution to our staff, please go to the Employment section to see the current job offers.